Simply put, it’s your event! Our team is fashioned through years of musical expertise and customer service. We want to make sure it’s a day to remember, not just a day. Our DJ/Entertainers are not ringmasters operating at the big top. We will not put on a show! When it comes to weddings/events, we do not provide just a “Djing Service.” DJ’s can commonly be categorized as individuals who just “play” music. Anyone can basically push buttons on a device to play a song. We prefer the term DJ/Entertainer, as one who exhibits the art and knowledge of combining music and service of a professional echelon. Being able to adapt to a variety of ages and events is a key factor of our DJ/Entertainers. Sometimes we may be asked to change a specialty dance or song on the fly or even book an event at moment’s notice. No one wants the same wedding/event as someone else! 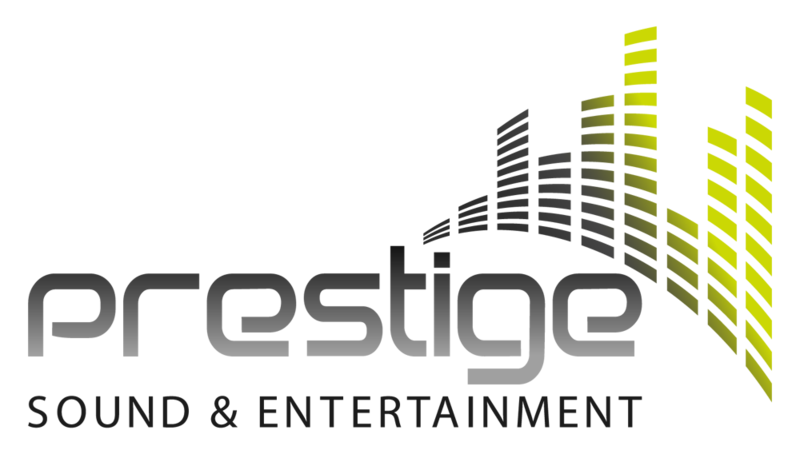 Prestige Sound & Entertainment will work closely with you to ensure your wedding/event is far from the “standard.” You will have complete planning and support from our staff. Team members are readily accessible anytime of the day/night via phone and email. At Prestige Sound, we will always have your sound needs covered. We are committed to a level of service and excellence with our name on the line. In doing so, we provide our customers with industry grade equipment that is meant to last. Our gear includes: JBL & QSC speakers/sub woofers, Pioneer turntables/mixers, rotating LED dance floor lighting and Shure wireless microphones. Music collection consists of over 100,000 titles including “radio edited” or songs free of profanity as well as a spectrum of genres to keep any party going. Over the years we have had the pleasure in taking on many “last minute” weddings and events. Most Djing companies will not take on these events. If your date happens to be booked up on one of these specialty cases, we will go above and beyond in recommending other professional companies that may fit your needs.